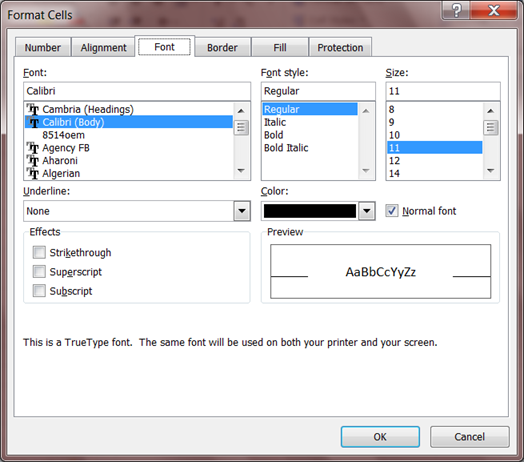 First we select the cells which we want to format, then press Ctrl and 1 at the same time. 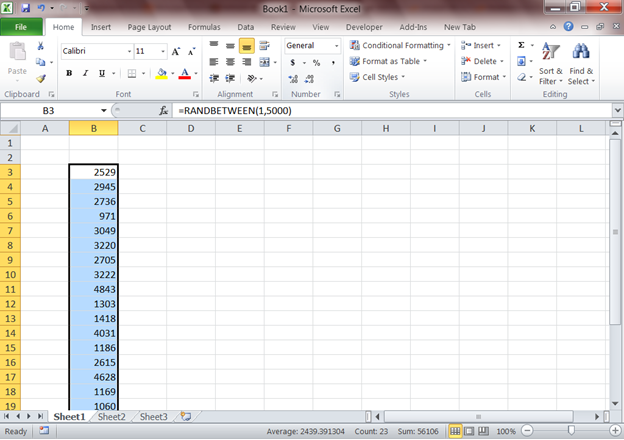 You can change how the numbers are displayed in the Number tab, the sample box on the right will show you a preview of your data. 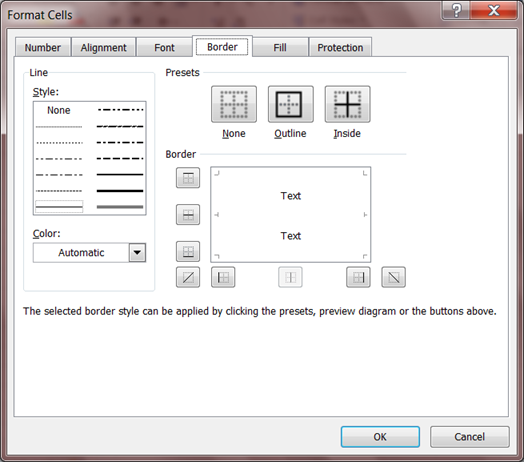 Here you’ll see options on how to control content orientation in the selected cells. 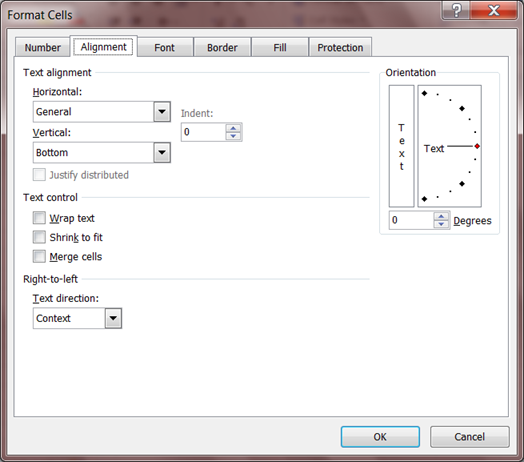 Control alignment, wrap, text direction and orientation. Use the font tab to adjust font family, style, size, effects, and color. Pretty self-explanatory, select the border style, color, and outline. 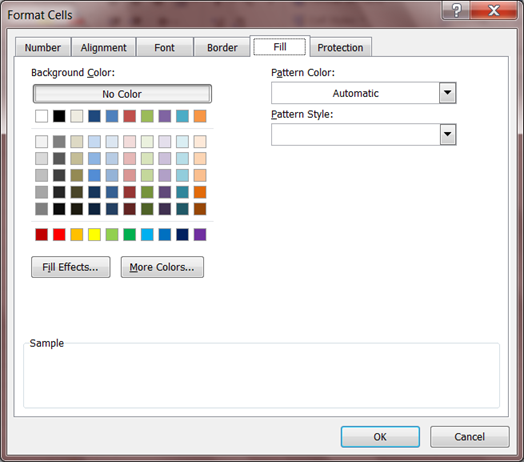 Select your background color and fill effects. 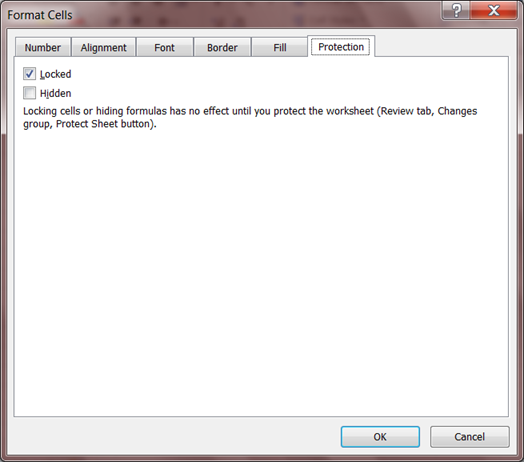 You can lock or hide formulas in cells after the workbook is protected. Don’t be lulled into a false sense of security by worksheet protections; anyone can crack an Excel document if they want it bad enough. 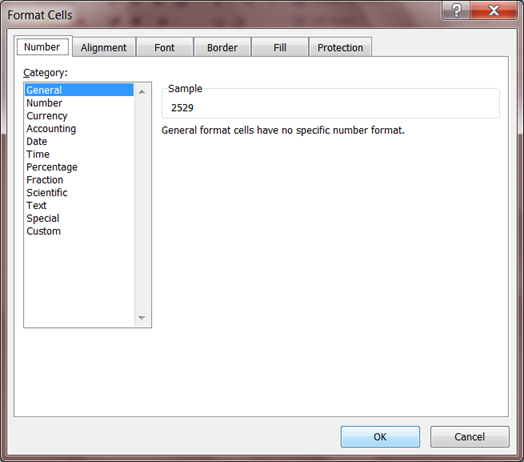 Now you should be familiar with the Excel Format Cells options.